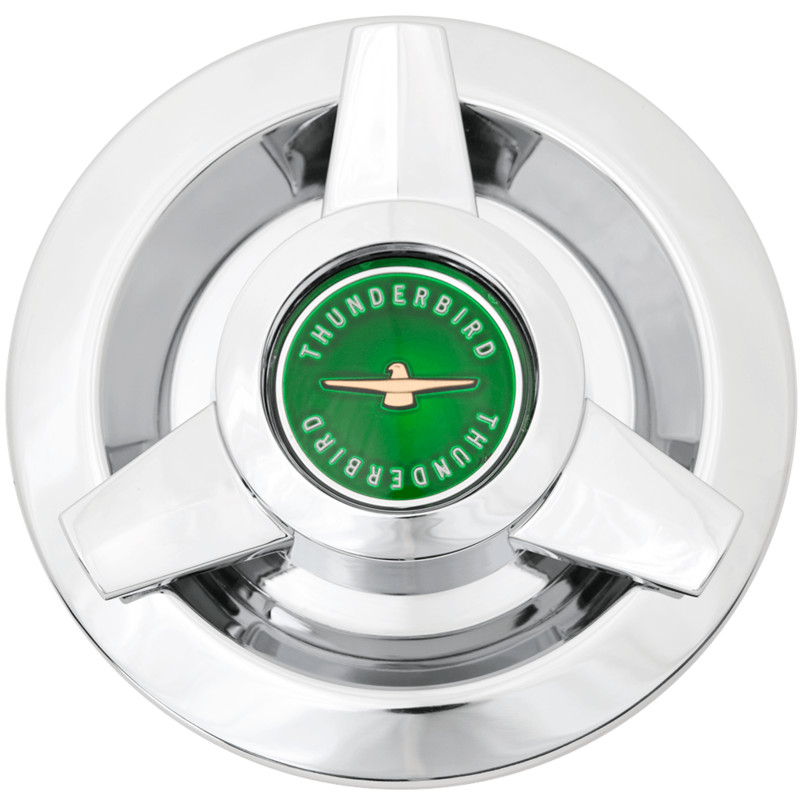 This is a Green Thunderbird wire wheel center cap. 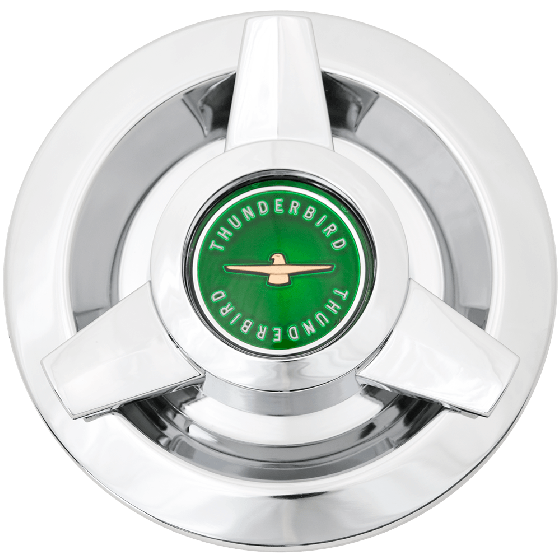 These Thunderbird center caps fit our Thunderbird wire wheel. Please check your actual wheels required cap fitment size.